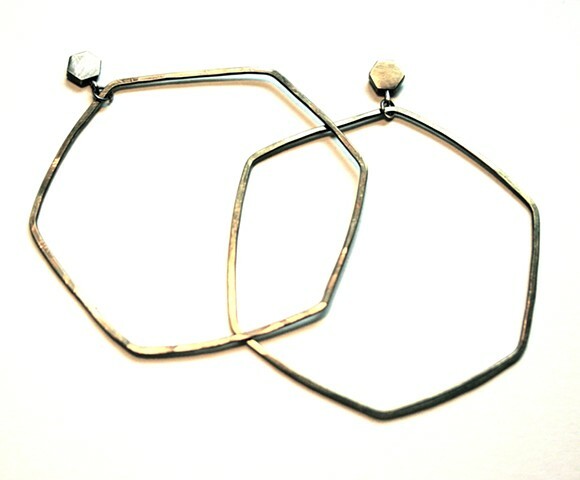 Oxidized brass hex hoop earring with a hexagon stud and silver ear post. Be friends with the honey bees. Click on the price to purchase with Paypal.